“Let’s give the people what they want.” HBO has released the official trailer for season six of Veep. The new season “will pick up after [Selina] Meyer’s electoral defeat. 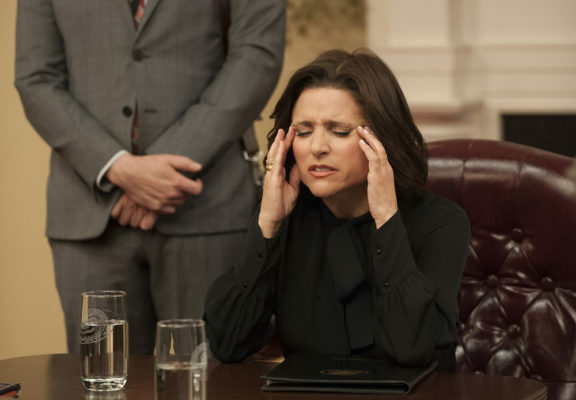 Struggling to define her legacy as an ex-president, Meyer is ready to get back in the game and continue her work elsewhere – but first she has some annihilating to do.” The cast includes Julia Louis-Dreyfus, Tony Hale, Anna Chlumsky, Reid Scott, Matt Walsh, Timothy C. Simons, and Sufe Bradshaw. Season six of Veep premieres on HBO on April 16th. What do you think? Are you a fan of Veep? Are you excited for the new season?